I have to make that clear from the beginning so no one will ask me just by reading the title. 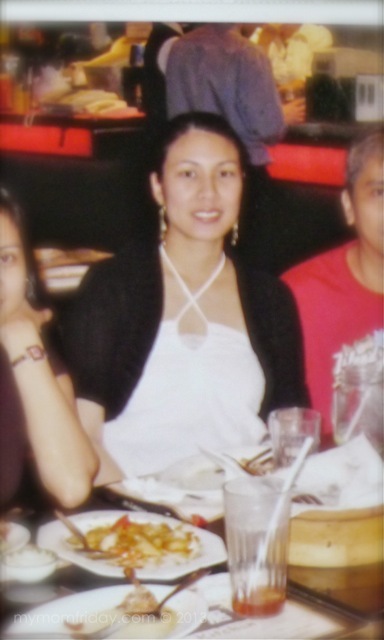 =) Mother's Day fever is still in the air and there is so much to share and be thankful for. I'm sure my new mom friends out there enjoyed their first celebration. I also know a few expectant moms who can't wait to pop and embrace motherhood. 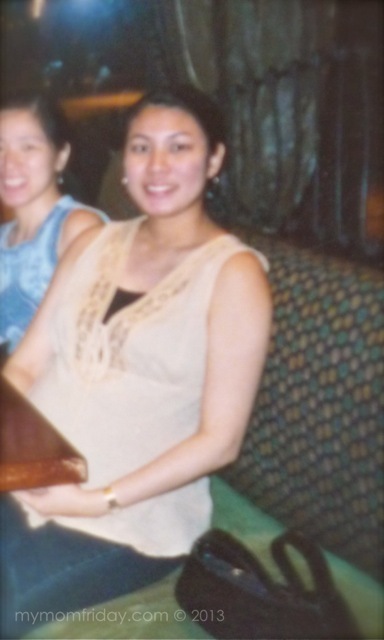 This was my preggy self during my first time... I look dreadful! I think I was almost 8 months here. I got all the pimples in the world, bloated from face to toes in my last trimester, gained over 50 pounds, and feeling itchy all over. It did not help that my mother keeps saying I'll be having a boy (kasi pag pangit ka magbuntis, lalaki ang anak). The second time around was a breeze, and I felt and looked waaaay better (I had a girl)! This was a few weeks before I gave birth. Despite having no control of what I was eating then, I made sure I ate what I needed to eat, and avoided what I had to. Experts say, "What you eat and drink is the main source of nourishment for your child. You’ll need about 300 extra calories per day, especially in the latter stages when your child grows quickly." I also learned from a nutritionist that pregnant women require these specific nutrients to meet the needs of the growing fetus, and help build reserves to prepare the mother for delivery and lactation. The average weight gain per trimester is 10 pounds, for a total of 30 pounds for the full term. Obviously, I went over the first time. And with my second, I think I gained a modest 35 pounds, just right for my height and built. This post is dedicated to my cousin and friends who are waiting for the stork to arrive. Take care and eat well! If you are eating for two, remember the "what and what not to eat" lists above, and enjoy the journey! Learn from other moms and soon-to-be-moms, join Anmum Mommy Circle on Facebook and share your questions and experiences. Take the Folate Test here. 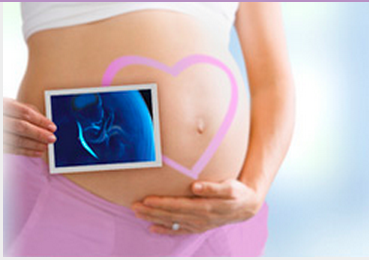 Anmum Materna is high in Folate, which is important to maintain the growth and development of the foetus. Delicious tasting Anmum Materna also contains Folic Acid, GA, EFA, FOS, Calcium, Iron & other essential nutrients. Just two glasses of Anmum Materna a day can give you 100% of your daily folic acid and 50% of your iron needs.